Do you have the book Like Water for Chocolate? - Ask Us! Q. Do you have the book Like Water for Chocolate? 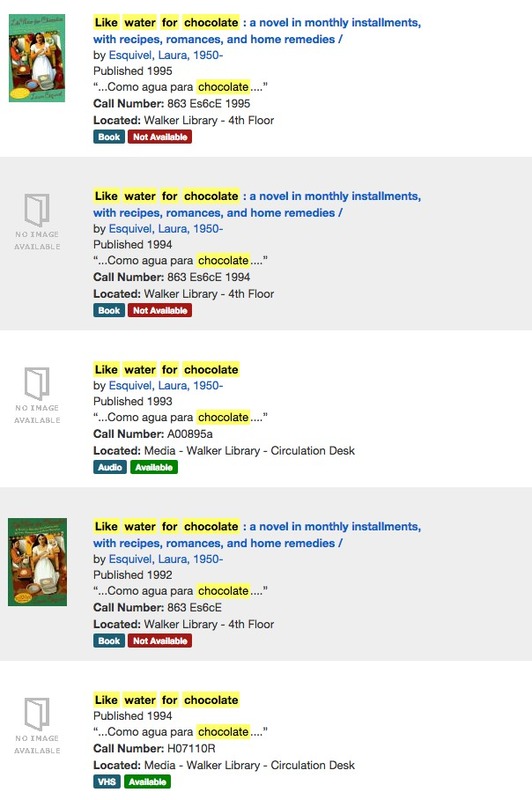 The Library has several copies of Like Water for Chocolate. The books can be found on the 4th floor and the call number is 863 Es6cE, generally followed by a date. Note: A couple of them are in Spanish. There are two titles in media formats. Check the Library Catalog to see if the title is available for checkout.